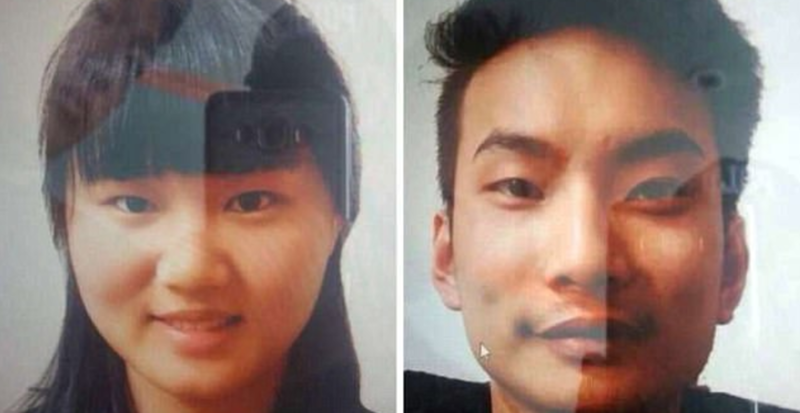 Chinese pastors have confirmed that two young Chinese workers were killed by ISIS. Pakistan’s military sent in security forces last week to conduct operations in Mastung, where there Chinese were being held. The two Chinese nationals have been identified as Li Xinheng (left) and Lu Ling Lina by the Pakistani Police, who provided the pictures to the European Pressphoto Agency (EPA). Below is a copy of the Passport and visa of the young lady provided by the Pakistani government and reported in the South China Morning Post. During the operation, the Pakistani military killed 12 terrorists that had links to ISIS, but the Chinese hostages had already been killed. ISIS had been hiding in caves where they held the two Chinese teachers. Earlier this year, ISIS made a threat to carry attacks on China. It seems that they are carrying out those threats. The Chinese had built relationships with the locals and were loved by everyone. 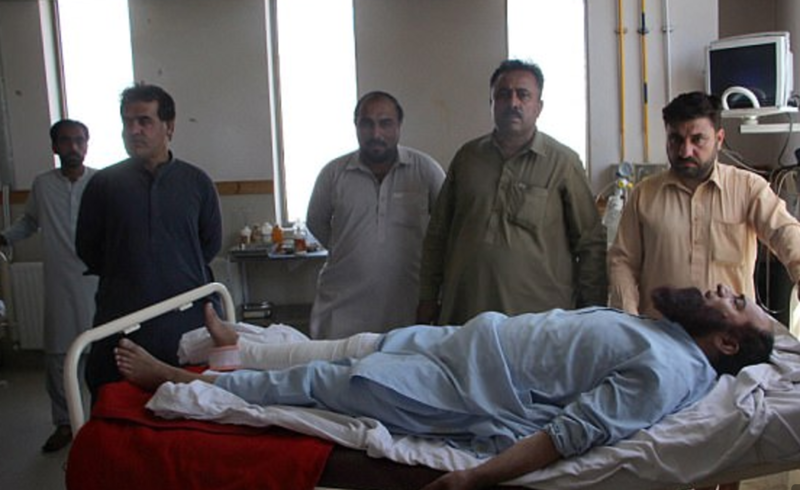 One local Pakistani had been hospitalized when he attempted to keep the Chinese workers from being abducted. The two Chinese were working in an area that is heavily influenced by the Taliban known as Quetta. They were studying Urdu and teaching Chinese at a local private school that they were running. They were driving their car during a lunch break at the school when they were stopped by men on the road dressed as police officers. When the Chinese stopped at the check point, three men with guns pulled them out of the car and dragged them into another vehicle. The car that they were placed into did not have license plates. A third Chinese female was with them, but she was able to escape and run back to the school and call for help. A local tried to help the Chinese, but was shot. Muhammad Zahir told AFP (pictured above): “I was walking on the road when I saw three men forcing a Chinese woman in a white car and she was refusing and crying, I stopped to observe the situation but they had forced the woman in the car by then and were pushing the man. “So I rushed to them and asked what they were doing. One of them said we are from the crime branch of the police and we are taking them for investigation and I told them that they should not misbehave with people, then the driver came out and shot me in my foot,” the 35-year-old said. 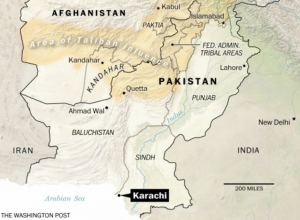 Chinese interest in north Pakistan has spiked in recent years after the announcement of the Chinese Back to Jerusalem mission going along the ancient Silk Road to preach the Gospel. Their efforts are being aided by a $57 billion USD program initiated by the Chinese government known as the “One Belt-One Road” initiative. 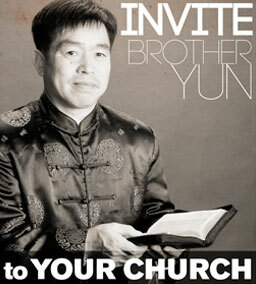 There are currently more than 30,000 Chinese living and working in Pakistan and as many as 100 BTJ missionaries. 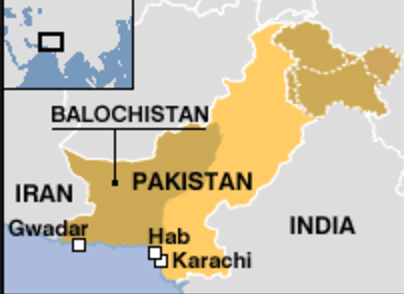 A “Global Times” report (http://www.bestchinanews.com/International/11005.html) has pointed out that 13 Chinese were brought to Jinnah town of Quetta to work and study at a local language school known as the “ARK.” The two kidnapped were from this group of Chinese working at the school. After researching more into the situation, it seems that the young Chinese have been found guilty of trying to help Pakistan’s extreme illiteracy rate. It has been estimated by the government that more than 60 million Pakistanis cannot even read the route number on a bus. Pakistan faces an education emergency as a staggering 47 per cent (24.02 million) of all children between the ages of 5 and 16 are out of school, according to government’s own statistics compiled by the Academy of Educational Planning and Management (AEPAM). In response, the Pakistan government has called on the world community to help with the situation and allowed for thousands of private schools to be set up to teach languages such as Urdu, English, and even Chinese. These non-formal schools have been extremely effective – especially since they reach out to women. Women make up more than 90% of the student body at informal language centers because they feel more welcome than they do in the state sponsored schools. 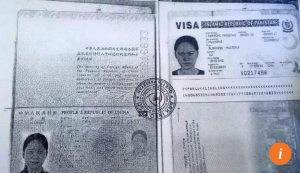 After the abduction and murder of the two Chinese, the remaining eleven have been sent back home to China where they are certain to be questioned by the government about their activities while in Pakistan. Please continue to pray for the families of those murdered, the Chinese teachers who have given their life to help the people of Pakistan, and for the Pakistanis who desperately need the Gospel of Jesus Christ to lift them out of violence and poverty. Please also continue to pray for the safety of the 100+ BTJ missionaries who are currently working and serving in Pakistan.